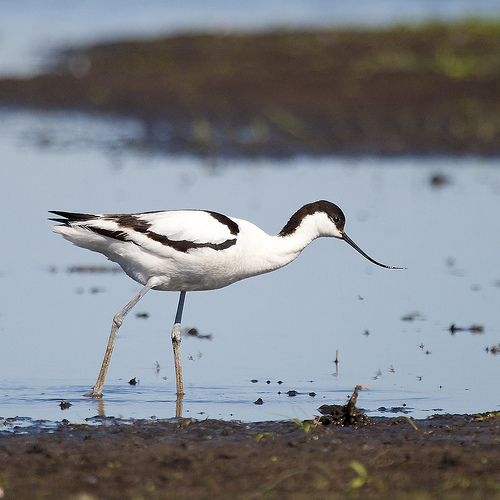 The Pied Avocet is a slender wading bird with a prominent beak: long, upward-curved, and thin. With its beak it moves from side to side through the muddy ground looking for small prey. 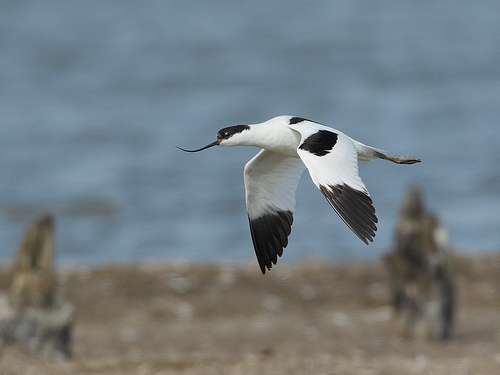 The Pied Avocet breeds in coastal areas.